Sporting new instruments, as well as refurbished versions of detectors originally used on balloon flights over Antarctica, the refrigerator-sized, 1.4-ton (1,300 kilogram) ISS-CREAM experiment will be delivered to the space station as part of the 12th SpaceX commercial resupply service mission. Once there, ISS-CREAM will be moved to the Exposed Facility platform extending from Kibo, the Japanese Experiment Module. 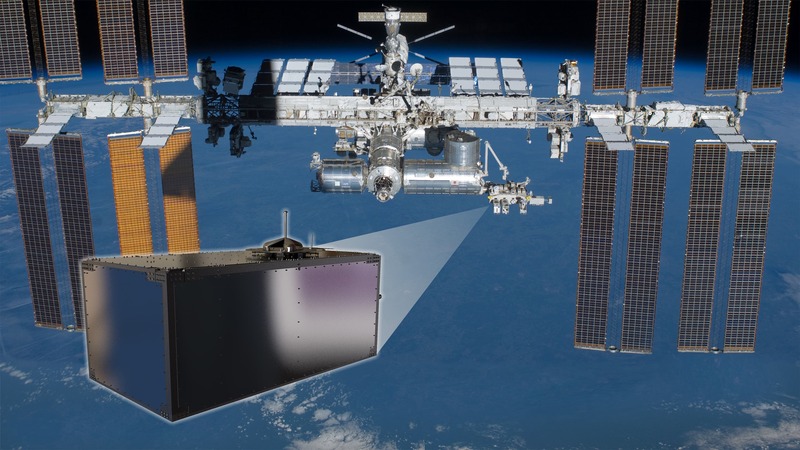 From this orbital perch, ISS-CREAM is expected to study the “cosmic rain” for three years—time needed to provide unparalleled direct measurements of rare high-energy cosmic rays. At energies above about 1 billion electron volts, most cosmic rays come to us from beyond our solar system. 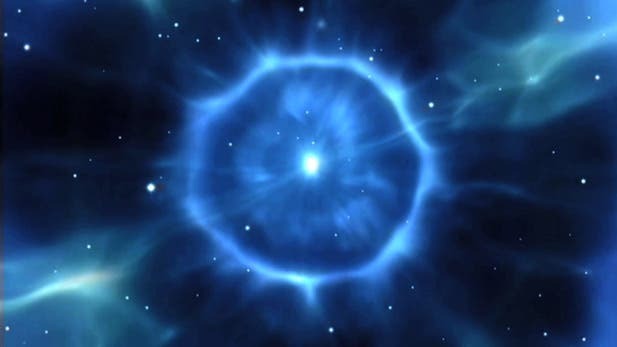 Various lines of evidence, including observations from NASA’s Fermi Gamma-ray Space Telescope, support the idea that shock waves from the expanding debris of stars that exploded as supernovas accelerate cosmic rays up to energies of 1,000 trillion electron volts (PeV). That’s 10 million times the energy of medical proton beams used to treat cancer. ISS-CREAM data will allow scientists to examine how sources other than supernova remnants contribute to the population of cosmic rays. Protons are the most common cosmic ray particles, but electrons, helium nuclei and the nuclei of heavier elements make up a small percentage. All are direct samples of matter from interstellar space. But because the particles are electrically charged, they interact with galactic magnetic fields, causing them to wander in their journey to Earth. This scrambles their paths and makes it impossible to trace cosmic ray particles back to their sources. Large ground-based systems study cosmic rays at energies greater than 1 PeV by making Earth’s atmosphere the detector. When a cosmic ray strikes the nucleus of a gas molecule in the atmosphere, both explode in a shower of subatomic shrapnel that triggers a wider cascade of particle collisions. Some of these secondary particles reach detectors on the ground, providing information scientists can use to infer the properties of the original cosmic ray. These secondaries also produce an interfering background that limited the effectiveness of CREAM’s balloon operations. Removing that background is another advantage of relocating to orbit. With decreasing numbers of particles at increasing energies, the cosmic ray spectrum vaguely resembles the profile of a human leg. At PeV energies, this decline abruptly steepens, forming a detail scientists call the “knee.” ISS-CREAM is the first space mission capable of measuring the low flux of cosmic rays at energies approaching the knee. Astronomers don’t think supernova remnants are capable of powering cosmic rays beyond the PeV range, so the knee may be shaped in part by the drop-off of their cosmic rays in this region. ISS-CREAM detects cosmic ray particles when they slam into the matter making up its instruments. First, a silicon charge detector measures the electrical charge of incoming particles, then layers of carbon provide targets that encourage impacts, producing cascades of particles that stream into electrical and optical detectors below while a calorimeter determines their energy. Two scintillator-based detector systems provide the ability to discern between singly charged electrons and protons. All told, ISS-CREAM can distinguish electrons, protons and atomic nuclei as massive as iron as they crash through the instruments. ISS-CREAM will join two other cosmic ray experiments already working on the space station. The Alpha Magnetic Spectrometer (AMS-02), led by an international collaboration sponsored by the U.S. Department of Energy, is mapping cosmic rays up to a trillion electron volts, and the Japan-led Calorimetric Electron Telescope (CALET), also located on the Kibo Exposed Facility, is dedicated to studying cosmic ray electrons. Overall management of ISS-CREAM and integration for its space station application was provided by NASA’s Wallops Flight Facility on Virginia’s Eastern Shore. ISS-CREAM was developed as part of an international collaboration led by the University of Maryland at College Park, which includes teams from NASA Goddard, Penn State University in University Park, Pennsylvania, and Northern Kentucky University in Highland Heights, as well as collaborating institutions in the Republic of Korea, Mexico and France.